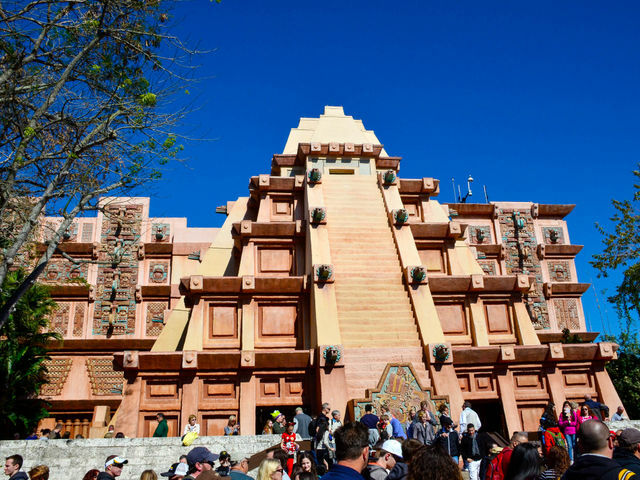 A large, pyramid-shaped Aztec temple sits of the Mexico pavilion welcomes visitors into the World Showcase. Enter this dominant landmark and enjoy the gallery of Mexican art, then continue further to find yourself in a moonlit courtyard. Here, you can shop at a Mexican bazaar, dine at the sit-down San Angel Inn, or go on El Rio del Tiempo, boat ride reminiscent of "it's a small world." Location: The first national pavilion to the left as you enter World Showcase from Future World. Animales Fantasticos An exhibit of traditional Oaxacan animal sculptures. 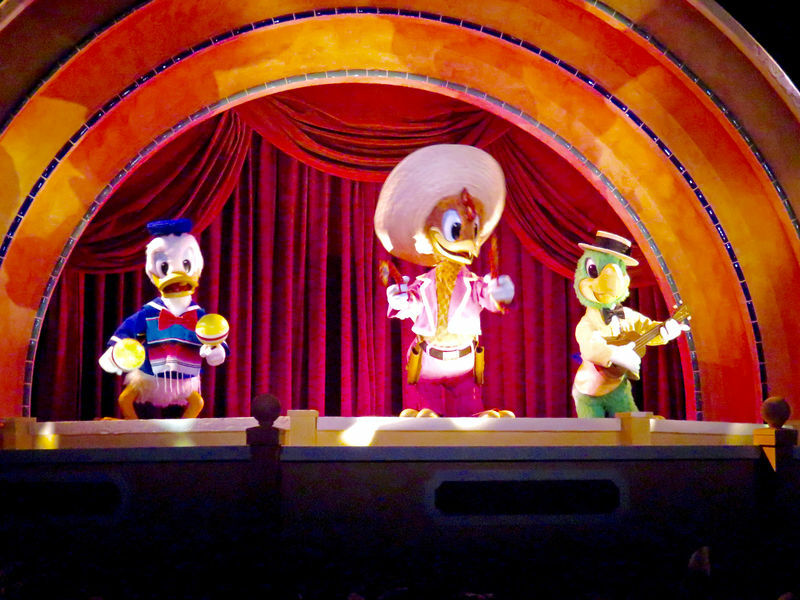 Gran Fiesta Tour A water ride through the art and culture of Mexico with the stars of The Three Cabelleros. Mariachi Cobre This traditional mariachi band has been performing since the beginning of Epcot. La Cantina de San Angel Counter service Mexican food with a frozen margarita bar. La Cava del Tequila Sample fine tequilas in this small bar and enjoy the tapas menu. La Hacienda de San Angel Hacienda-style Mexican food on the waterfront. San Angel Inn Mexican food next to the Mayan ruins. Artesanias Mexicans Pottery, glassware, and other household accessories. La Familia Fashions Silver jewelry and other personal accessories. Plaza de los Amigos Hand made Mexican crafts such as blankets, toys, leather items. Also candies, foods, and tequila. Here you will find a list of selected rides, shows, or restaurants that have been removed fromWorld Showcase - Mexico, never to return. El Rio del Tiempo A boat ride through Mexicos history and culture. Opened October 1, 1982; closed January 2, 2007. Replaced by Gran Fiesta Tour.